What is it about winter break that makes you super lax as a parent? Or maybe that’s just me. *shrugs* I’m not sure what it is, but when we don’t have to adhere to the strict school schedule, I am all about lets just hangout and have some fun. You want to watch another movie? Go for it. Just don’t sit in my spot on the couch! Mom, can we have a treat before dinner? Sure, bring me one too. When they asked me for cookies for breakfast, I had to draw the line. Woah, woah, woah time out. No you can’t have cookies for breakfast. My son looked at me and in all seriousness said, but I bet you can make a special one, one that we could eat for breakfast. Sneaky kid, challenge accepted. 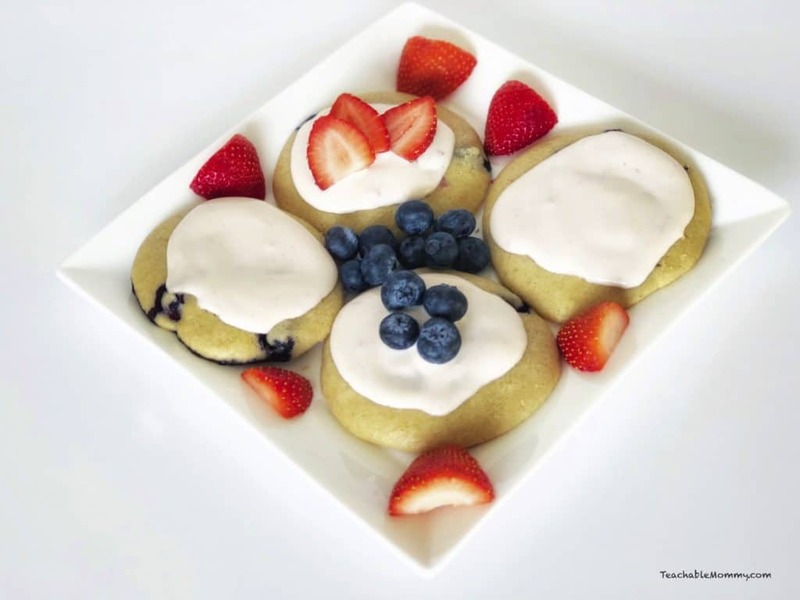 After some thinking, I came up with these Blueberry Breakfast Cookies with Cream Cheese Yogurt Frosting. 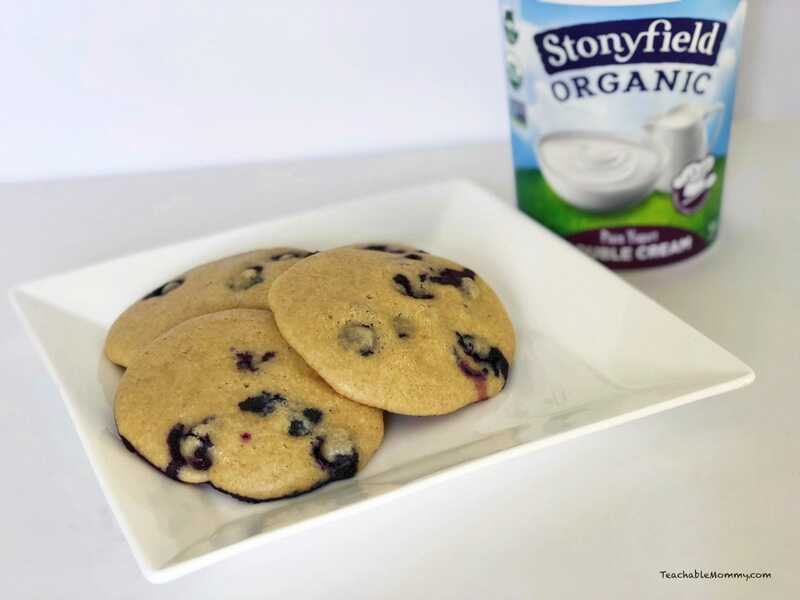 I’m a Stonyfield Blogger and was provided with products to help facilitate this post. All opinions are my own. What makes these a good idea for breakfast other than the fact they taste amazing? 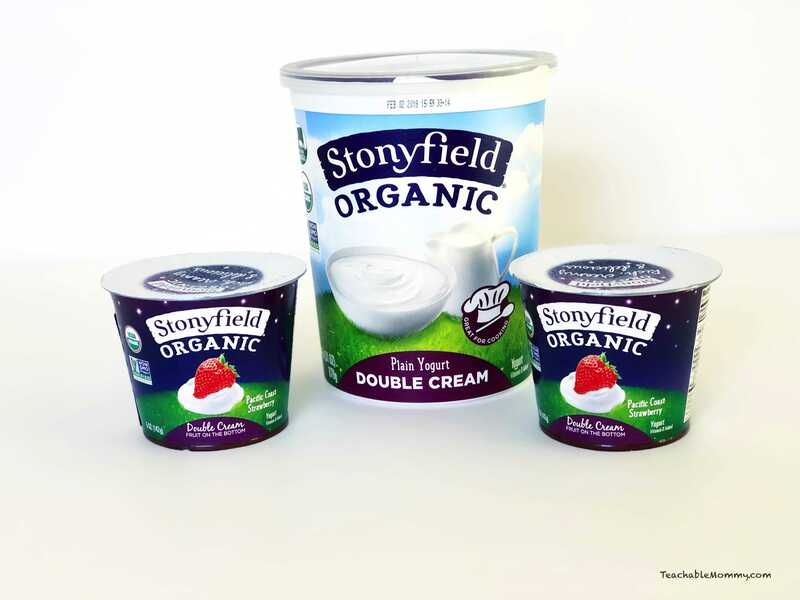 They are made with simple ingredients, one of those being Stonyfield’s new Double Cream Organic Yogurt. Did you know that yogurt can be used for baking? Yogurt is not just for breakfast anymore, although it is very delicious that way too! Yogurt is a healthier and tasty way to lighten up some of your favorite recipes. Stonyfield quarts are a great substitution for ingredients like oil, mayo, sour, cream, butter, and more. * I used Strawberry, you can use whatever flavor you want! Mix together yogurt, egg, salt, baking powder, and sugar until well blended. Add in the oat flour, mix until smooth. Refrigerate for 30 minutes to allow the dough time to stiffen. Preheat over to 375 F and line your baking sheets with parchment paper. Using an ice cream scoop or spoon, place your cookies 2 inches apart. These do spread a little. Place on a cooling rack and allow them to cool completely. Otherwise the frosting will melt right off! Allow cream cheese to soften. Spread on top of cookies once they have cooled. I had extra frosting leftover so we used it as dip for our fruit at lunchtime. Yum! I can feel good using Stonyfield yogurt in recipes because not only is it delicious but it’s made with certified organic and organic compliant ingredients. An when I buy organic, I know I’m getting a product that is made without the use of toxic persistent pesticides, artificial hormones, antibiotics and GMOs. 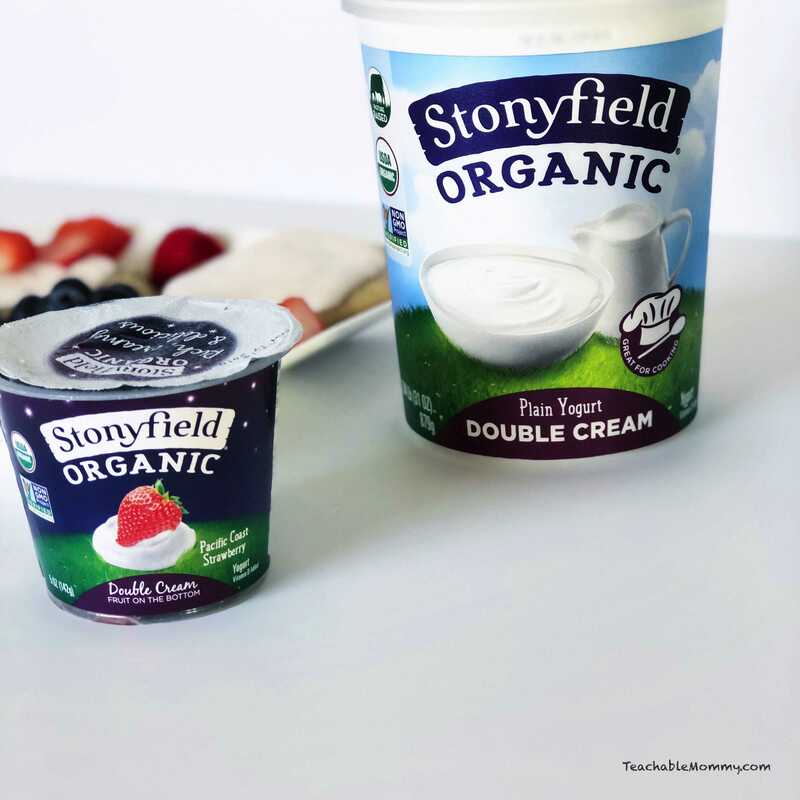 Plus, if you need another reason to choose Stonyfield, they have reduced sugar in all of its yogurt products! 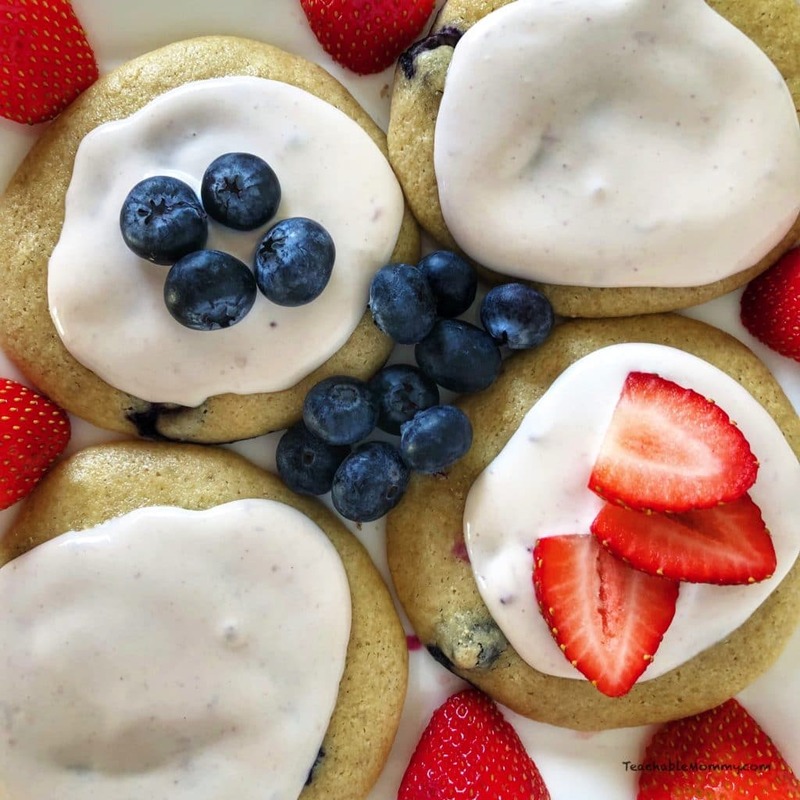 Find out where you can buy Stonyfield on their website and connect with them on Facebook, Twitter, and Instagram. Organic Vanilla Strawberry Frozen Yogurt! Healthy and Tasty Organic Yogurt Vegetable Dip! Stonyfield Whole Milk Greek Yogurt Smoothie! Previous Post: « Incredibles 2 Teaser Trailer! Cookies for breakfast sounds good to me! I like that they are breakfast friendly and made with simple ingredients. The cream cheese yogurt frosting sounds amazing! Now the grandkids would think this is pretty awesome if I served them cookies for breakfast. They and we love all the ingredients. Sounds perfect. 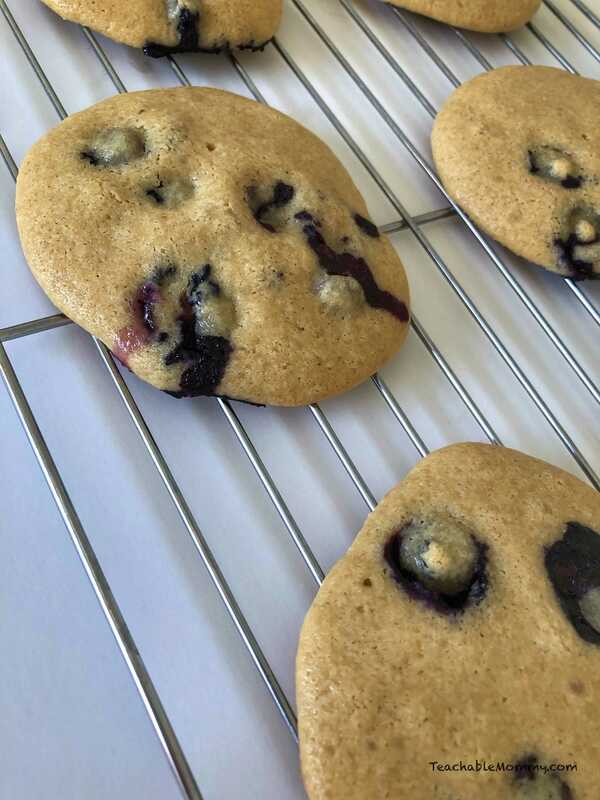 These blueberry breakfast cookies look wonderful. Blueberries are so good in everything and they are good for you. I’m going to have to make these next year. Happy New Year. YUM, these sound AMAZING! I think I should make some of these for easy breakfasts when I go back to work. I love freshly baked cookies and they sound good even if it is for breakfast. They look nice and soft too, my favorite way. Oh yes! I would LOVE to have these for breakfast. Blueberries are so delicious. And I’ve always been a fan of cream cheese. These for breakfast would be so awesome. Cream cheese is not my fav but in this case I would keep it as it. Looks so good. Those Blueberry Breakfast Cookies with Cream Cheese Yogurt Frosting look so yummy! I am obsessed with anything blueberry flavored so I’ll definitely have to try this out ASAP! My children would be excited about having cookies for breakfast. On top of that, they really love yogurt and have it with every meal. This looks so good. My son would love to have those anytime of the day! This is such a fun, unique recipe. I would love to try these cookies. We love Stonyfield yogurt and always stock up on it at the store. You had me at breakfast cookies, LOL! These look delicious and sound perfect for breakfast! YUM! What a fantastic combination of flavors. 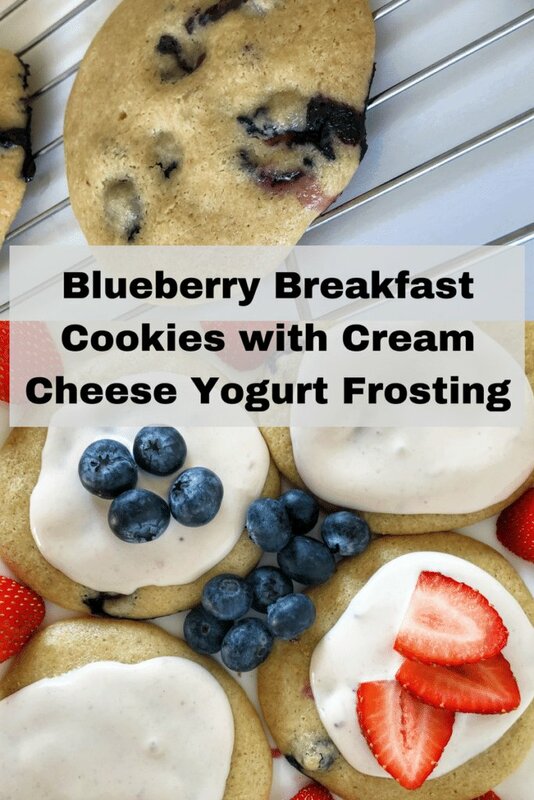 I don’t think I have ever had blueberry cookies, and those sound delicious, especially with the cream cheese yogurt frosting. We love our yogurt around this house. Especially when it’s organic! It’s a plus because we know the ingredients are much nicer. These little cookies look so good. I never would have thought to use yogurt on the top like that. I think these would be a huge hit with my picky eater! She never wants to eat breakfast but I think she would love these!